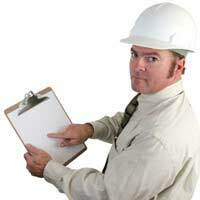 When it comes to health and safety, a landlord is responsible for making sure that the property they are renting out is safe and reasonably comfortable, and that all maintenance and major repairs to the property are carried out regularly and when they are required. The Landlord and Tenant Act makes it clear that included in a general responsibility for safety and comfort are the specific areas of structural repairs to the exterior and interior, maintenance and repairs to the heating and hot water installations, basins, sinks, baths and any other sanitary installations. You also have to make sure that there is adequate heating in the property, which is taken to mean that there should be some form of controllable central heating and adequate insulation. There should be provision for electricity and gas supplies, and all the drains, basins, sinks, baths, showers and toilets should work properly. The water heating facilities should work properly. There should be no obvious tripping or falling hazards, the property should be damp-free. When you let a property, one of the main pieces of health and safety legislation that applies to you as a landlord is The Gas Safety (Installation and Use) Regulations 1994. These regulations make it vital that all gas appliances and installations in a let property are supplied and maintained in good order, and specify that all appliances must have an annual safety check carried out by a CORGI (Council for Registered Gas Installers) registered professional. You’re also obliged to keep a record of these safety checks, and let the tenant have a copy of the report within 28 days of it being carried out.Landlords are also expected to make sure that the electrical system and any electrical appliances that are supplied with the property, like washing machines and immersion heaters, are safe and in good working order. If the appliances in your property are new, the tenant should also be given a copy of the instructions. The 2004 Housing Act means that landlords have to pay attention to fire safety in their property. You should always make sure that there is an adequate means of escape in case of fire, and depending on the size of your property, you could also have to provide smoke alarms and fire extinguishers. If you’re letting the house out to several tenants, it might also be considered to be a House in Multiple Occupation (HMO) by your local authority, which means that there are other conditions that will apply to you. You will need to speak to your local fire safety officer if you’re not sure which health and safety regulations apply to your property. The Furniture and Furnishings (Fire) (Safety) Regulations 1988 make it the landlord’s legal responsibility to ensure that any upholstered furniture that you provide as part of a furnished letting complies with fire safety regulations, and displays a safety label to confirm that it was manufactured in accordance with the fires safety regulations. You are not responsible for the safety of any furniture that the tenant supplies.